Many gardens are lacking vitality and colour at this time of year and yet they do not need to. The roses may be past their best but perennials such as the purple cone flower Echinacea purpurea, and Japanese anemones will continue flowering for some time. 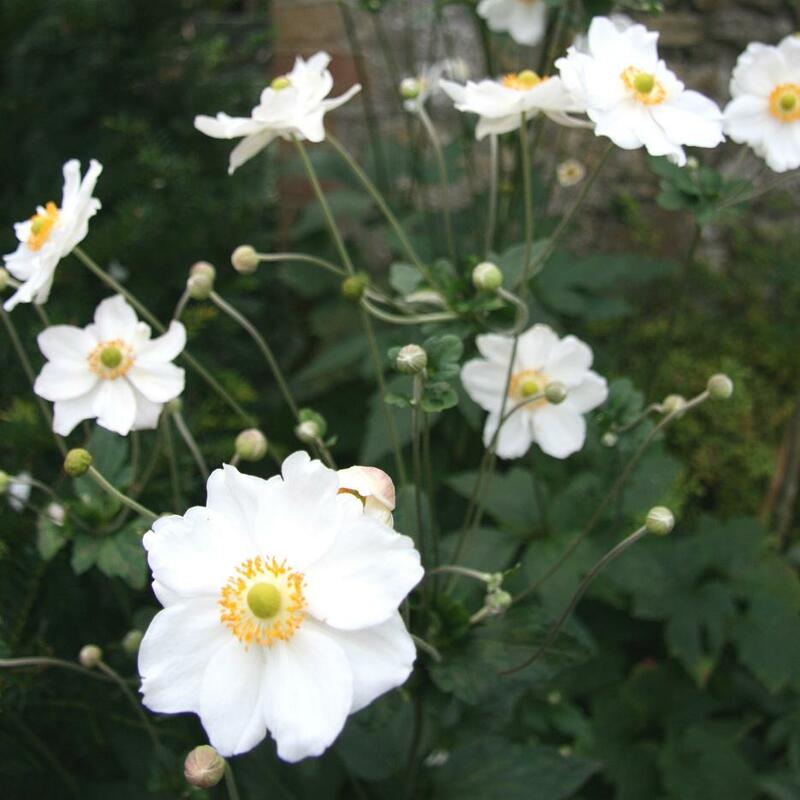 Anemone ‘Honorine Jobert’ with its tall white flowers is brilliant for lighting up dry shady corners. I am planning to plant a long border of them in front of my dark Viburnum hedge where they will flower for several weeks. Plants that have already set seed can now be harvested. Many will sow themselves but it is always good to pass them on to friends. 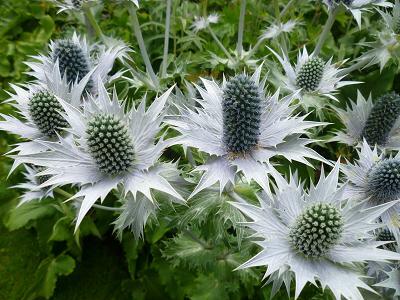 Miss Wilmott, a renowned Victorian plantswoman, used to fill her pockets with the seeds of Eryngium giganteum and when visiting her friends’ gardens, surreptitiously sprinkled them amongst the borders. The following year they would appear in a blaze of glory and became known as ‘Miss Wilmott’s Ghost’. Many tender plants such as Hebes and Penstemons suffered badly last winter. Now is the time to take cuttings to ensure that you have a continuous supply. They all root easily round the insides of a plastic pot covered with a plastic bag and kept out of the sun. Dipping the cut ends in hormone rooting powder is often helpful. For a reliable crop of lettuce to harvest throughout the winter and into spring, sow Lettuce ‘All Year Round’ now. Even after the heavy snow and frosts last winter, we still had an amazing glut of lettuces and had to give most of them away. There is still so much to look forward to in the garden. Next month the ornamental grasses will be at their peak. Can’t wait!